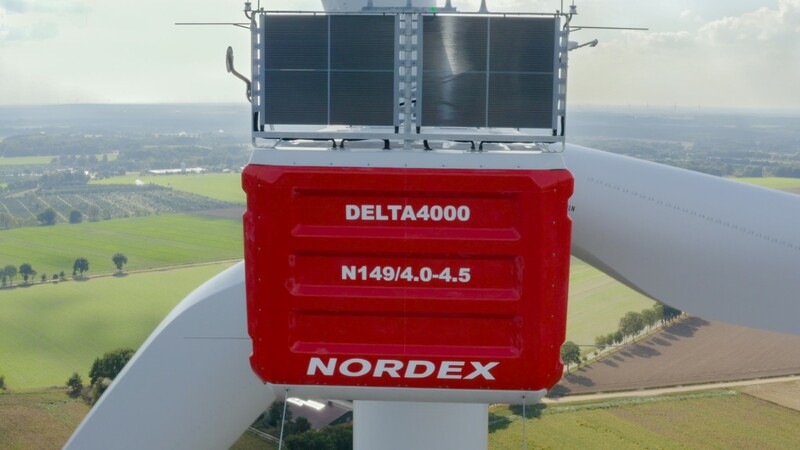 Hamburg (renewablepress) - The Nordex Group has received a major order from Argentina at the end of March. For the first time, the Group is supplying turbines from its Delta4000 series to an overseas destination. The pooled project is “Chubut Norte II, III & IV”. Moreover, the Group will be providing multi-year service for the wind farm. The contract for the “Chubut Norte II, III & IV” wind farm has been awarded by the leading renewable energy Independent Power Producer (IPP) company in Argentina, Genneia, for which the Nordex Group is currently installing the Argentinean Pomona I & II projects (113,1 MW). Located in the southern Province of Chubut near Puerto Madryn, the new-ordered 166.4 MW wind farm will be composed of 38 N149/4.0-4.5 turbines with an installed capacity of 4.380 MW each. Installation of the turbines is scheduled for the third quarter of 2019. The Group has installed more than 25 GW of wind energy capacity in over 40 markets and in 2018 generated revenues of around EUR 2.5 billion. The company currently has more than 5,500 employees. The joint manufacturing capacity includes factories in Germany, Spain, Brazil, the United States, India and in the near future Argentina and Mexico. The product portfolio is focused on onshore turbines in the 2.4 to 5.X MW class, which are tailor-made for the market requirements in countries with limited space and regions with limited grid capacity.